March 21 is the first day of spring around the world. The first moment of spring is when the sun crosses the celestial equator and equalizes night and day around the world. The first day of spring has been celebrated for over 3000 of years by many cultures, ethnic groups, countries and religions in central & western Asia and in the Balkans. Spring time gives new power to nature and helps it rejuvenate both materially and spiritually. It is a symbol of a time of awakening for both nature and human beings. In the Persian culture, the Festival of Nowruz is celebrated each year from March 21 to April 2 for a total of 13 days. 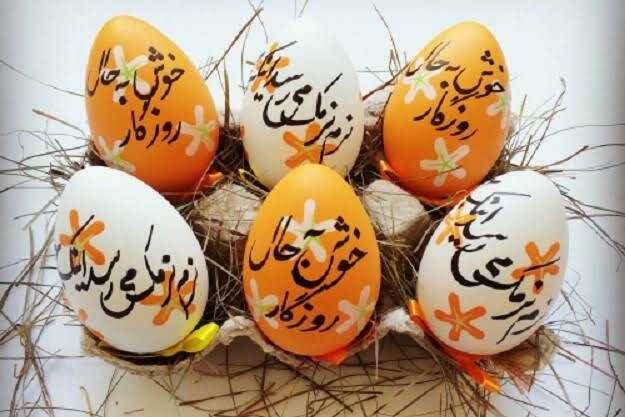 This year, Easter and Nowruz coincided with each other within the same time. When we look at history until now we truly see that we all come from the same source, celebrating nature at the same time in different ways. We see each of us personifying "Unity in Diversity" as one human race living on one planet. I am very happy to be born in spring and to have celebrated my birthday last night with my family and friends. Wishing you all a Happy Easter and Happy New Year!